I teach seminars on a variety of topics—wellness, nutrition, failure, resilience, and so forth. I also teach martial arts to children and adults. I even teach other people how to be better teachers, and believe those of us who know beneficial things have an obligation to make the knowledge available to others. But regardless of the teaching I’ve done for more than two decades, I have never seen a presentation that so clearly and simply demonstrates how often, and in how many ways, we teachers fail those with learning challenges as this one by Richard Lavoie. It isn’t a lecture. It’s an opportunity to see how a collection of kind and supportive teachers and parents cope with suddenly becoming “learning disabled.” Even if you don’t teach, even if you’re not a parent, viewing the presentation will give enlightenment and understanding. Clear an hour of your time. The video is worth that small investment. If you don’t believe me, try the first ten minutes. My guess is you’ll find a way to clear that hour. It’s time for yet another physician and pharmacist to tell the public to “steer clear” of all dietary supplements. The authors state truly—as I have—that most supplements are made in substandard facilities, contain contaminants, and might not even contain the ingredients stated on the label. And I’m impressed the authors’ hospital has taken steps to verify the quality of dietary supplements used by their patients. But the conclusions made and recommendations given both leap past existing knowledge and ignore existing resources. First, since the authors make a point of telling readers supplements might be harmful, I was surprised they claimed melatonin is safe without also taking a few words to identify its risks and interactions. Don’t get me wrong — melatonin is indeed a great option for many people — but partial information from licensed medical professionals is what can lead to the numerous adverse reactions the authors cite as a concern. Second, the ongoing claim by medical professionals that all dietary supplements lack scientific evidence is not only tiresome, but untrue. Perhaps medical professionals could gain a better understanding of the supporting evidence by at least skimming the information offered by the University of Maryland Medical Center, the Mayo Clinic, or numerous peer-reviewed scientific journals. They could also consult their counterparts in Canada and Germany, where regulatory agencies have already determined the safety and efficacy of numerous dietary supplements and incorporate them into standard treatment protocols. Lastly, the authors recommend consumers seek the “U.S.P. Verified” label as the gold standard of quality. This is a stance held by many in the medical community; the U.S.P. does, after all, sponsor and support the education of many in the field. But as I’ve stated before, such certifications don’t indicate the highest quality. USP doesn’t require product purity; it merely limits the amount of contamination that can come from pesticides and other harmful substances. The authors also mentioned calling the FDA to confirm whether your supplement manufacturer has met Good Manufacturing Practices. You don’t have to do that (and neither do they, truly) because the FDA provides the information online to any consumer. In fact, a quick cross-reference will show a “USP Verified” manufacturer has been cited for failing to properly prevent contamination of its products. I’ll be honest: every article like this makes me more and more glad I can offer Choose Well to consumers who want the highest quality supplements, and are willing to take responsibility for their own wellness. It’s also a great resource for medical professionals who want to offer their patients complete and accurate guidance on evaluating dietary supplements. I’m not a physician or pharmacist, but I am educated and intelligent. Facts exist regardless of the credentials of the persons stating them. As always, I invite my readers to follow the links, read the research, and make their own decisions. I didn’t stumble onto the notion of making wellness practical and sustainable by chance. Here is where I give you a little background on what drives me to do what I do, the way that I do it. Too often, folks working in health and wellness set others up with unreasonable demands and expectations of purity and perfection regardless of circumstances. That’s a set up for failure. 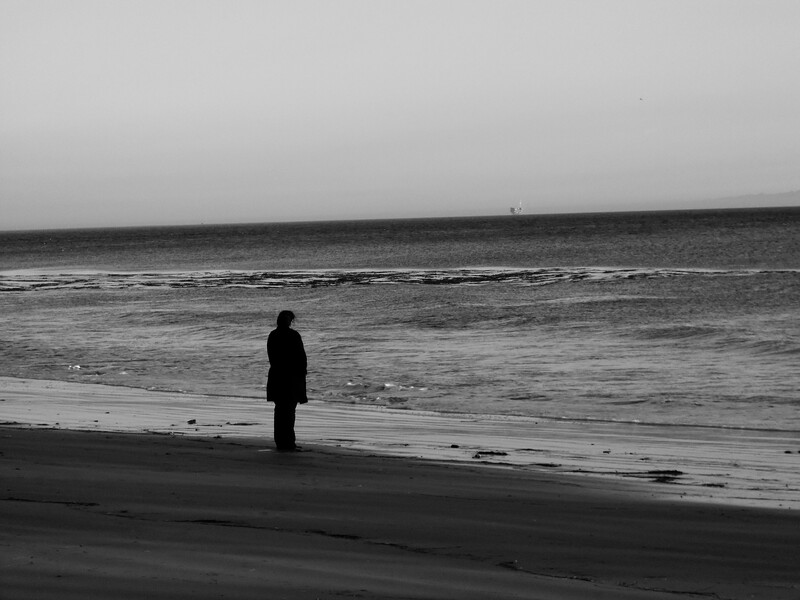 I know what it’s like to struggle under conflicting demands and unavoidable stress. I know that any wellness plan must be compatible with real life. I was going to invest quite a bit of time examining and dissecting those shiny new statin prescription guidelines. But that’s already been done, and wonderfully so, but Dr. Nancy Cook and Dr. Paul M. Ridker of Harvard Medical School already did so — over a year ago! Now the guideline-makers are scrambling for credibility-cover, and trying to figure out how to claim the online “risk calculator” is still a fantastic tool even though it is terribly and obviously flawed. Dr. Nissen entered the figures for a 60-year-old African-American man with no risk factors — total cholesterol of 150, HDL (the good cholesterol) of 45, systolic blood pressure of 125 — who was not a diabetic or a smoker. He ended up with a 10-year risk of 7.5 percent, meaning he should be taking cholesterol-lowering statins despite being in a seemingly low-risk group. Dr. Nissen also calculated the figures for a healthy white man, age 60, and also got a risk factor of 7.5 percent. That’s the opposite message we’ve been given for years—years spent avoiding the sun whenever possible, covering every bit of exposed skin, and slathering ourselves with sunblock. But an ever-growing body of evidence proves that what sunshine gives us lowers our risk for many cancers, chronic conditions, mental health issues and, yes, the seasonal respiratory illnesses. If you’re in a hurry, here’s your takeaway: Aside from the fact winter is too cold in many places for exposed skin, winter sunlight north of the equator is too low in the sky to trigger the body to produce its own Vitamin D. Repeatedly, research has shown that steady intake of Vitamin D3 –NOT sporadic mega-doses! — makes folks less susceptible to seasonal illnesses, helps curb “the winter blues,” and reduces the incidence of many cancers. The easiest and cheapest way to fix the problem is a high-quality Vitamin D3 supplement of at least 2000IU daily. (This elderberry/D3 combination is my favorite, and this is the one my little nephews take.) Basically, for as little a dime or two a day, you can be healthier and happier all year long. If you want to know how and why, read on! I can always tell when food and drug companies send out press releases, and when a corporate-sponsored conference has just wrapped up. Suddenly, the news on all channels is featuring the latest nutrition “innovation” or attempting to downplay risks associated with our current dietary habits. In the coming month, expect a blossoming of discussion around the educational importance of government-sponsored school breakfasts, and a sudden “mainstream” realization that nutrition has a massive impact on fertility. Yet more research has recently come out underscoring the need to investigate your supplement manufacturer rather than make your purchase based upon marketing of a brand and product placement. The methods researchers used to identify supplement ingredients are the same ones used by ethical manufactures who test their raw materials and their finished products. As the study statistics make clear, those manufacturers are in the minority. Researchers also pointed out–as did I in Choose Well–that low quality, contaminated supplements result in a lack of wellness results, and lead consumers to believe herbal supplements “don’t work.” Global research and practice confirms the efficacy of many plant-based medicines. Don’t let unethical and incompetent manufacturers jeopardize your wellness! Poor short term memory. Apathy and irritability. Weakness and trouble sleeping. Restlessness and fatigue. Depression. All of the above are symptoms commonly treated with prescription drugs—usually antidepressants, sleep aids, or a combination of them—and those prescriptions all carry well-known side effects that can impair daily living. But those symptoms might also point to a problem that’s much easier to address, and the solutions don’t cause potentially addictive and life-threatening problems: low levels of B vitamins. Alas, few patients get a recommendation for, let alone information about, these essential nutrients. 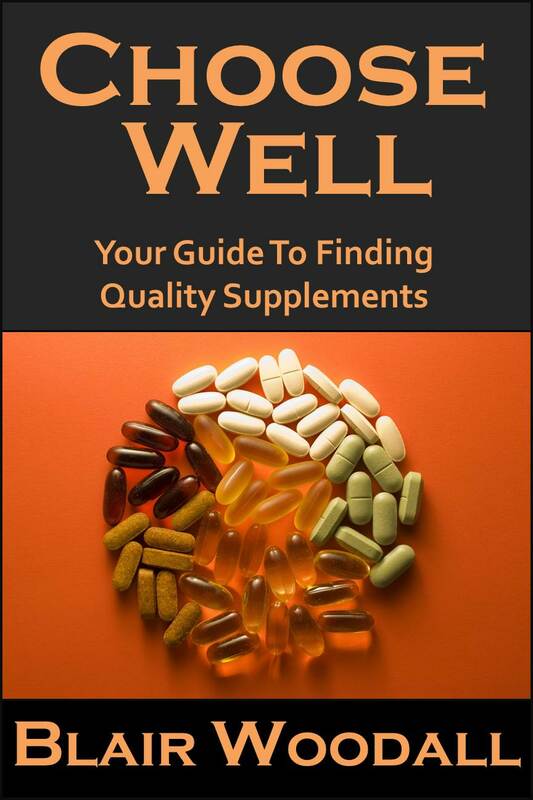 Choose Well: Your Guide to Finding Quality Supplements is now available in print! If you count on supplements to support your wellness goals, you absolutely must know how to evaluate the brand you use. Don’t count on recommendations, advertising, or product placement to make your decision for you. Learn how to evaluate quality and make your choice based upon knowledge and information. To sum up this article from NPR: chicken will be processed in China without any oversight, or in the U.S. without oversight, and the government agency that ought to be providing oversight touts this an improvement in food safety. I’m so glad we pay taxes for that sort of logic.